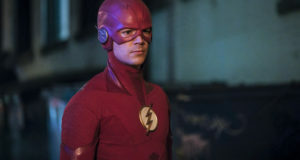 The CW has now already released some official photos to promote the third season premiere of The Flash. 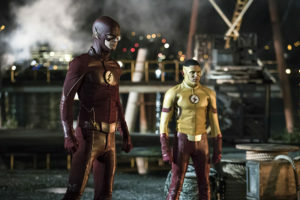 The season premiere airs October 4 and features Keiynan Lonsdale (Wally) in full costume as Kid Flash. What else do we see here? 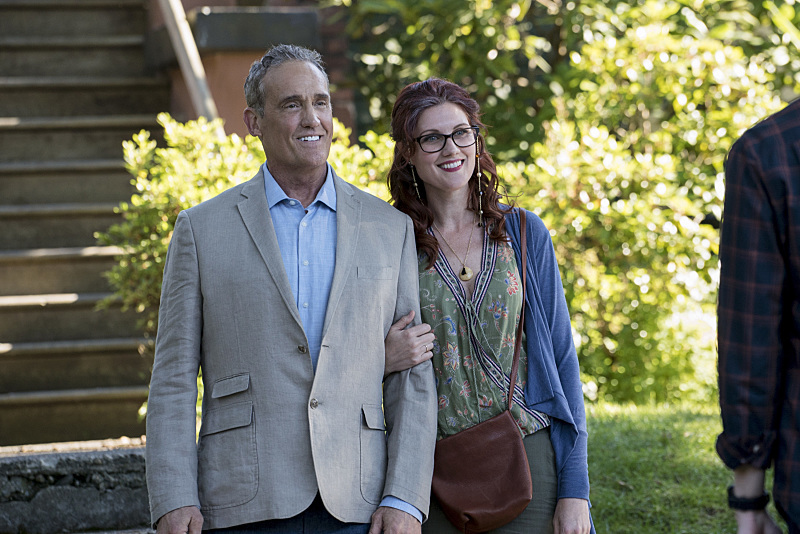 Barry’s parents — ALIVE! WestAllen! Eobard Thawne! A team up between Flash and Kid Flash! This is looking good. Enjoy the new photos below, and be sure you’re following @FlashTVNews on Twitter for more Season 3 updates as they become available! 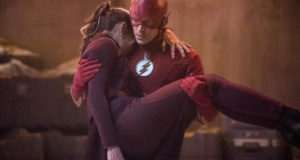 I know these photos are not posted in the order that they will appear in the episode but, in looking through them, it kind of looks like Barry takes Iris to where he is holding Reverse Flash. Then Barry and Iris are seen talking although I think that this photo is out of order. It looks like Barry unlocks the cell and then the cell is empty with Reverse Flash no longer in the picture. If this is true then what does this mean to the whole timeline and the Flashpoint?